NewMusicShelf is an online marketplace for independently-published composers of concert music to sell digital editions of their sheet music. Founded in 2010, the company allows composers to directly upload works for sale through its online platform. NewMusicShelf handles all transactions and digital delivery, leaving composers more time to manage all other aspects of their careers. 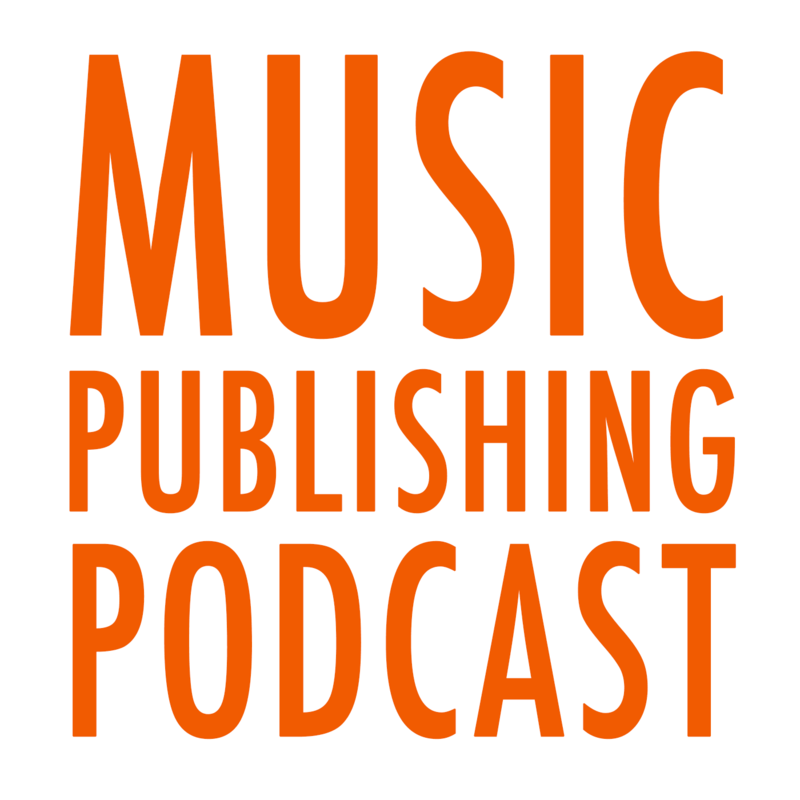 Composers retain all rights to their work, and, because NewMusicShelf is a non-exclusive distributor, are allowed (and encouraged) to sell their works through other outlets. 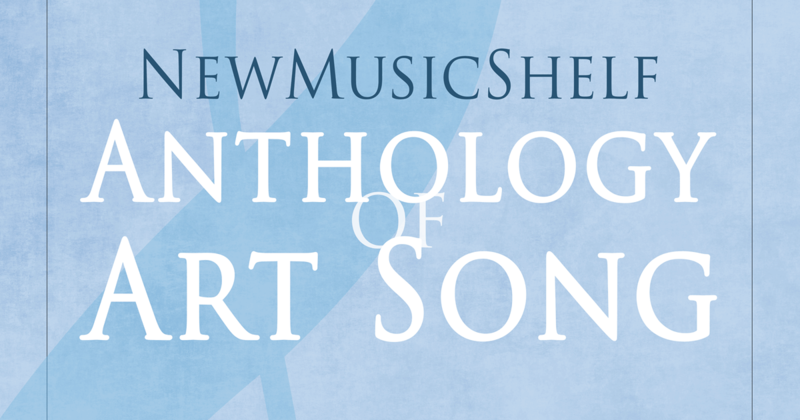 In 2018, NewMusicShelf will release four anthologies of new art song by living composers. Each voice-type-specific volume of 20 songs will be curated by professional singers, and will be released in print and digital formats. Songs included in the anthologies will also be performed in a concert of the anthologized works in New York City, and recorded and released in a companion CD. The anthologies will be marketed to teachers of singing and their students as a means of making new vocal music more accessible to a broad range of vocalists, from younger, more inexperienced singers to professional level vocalists. The songs included in the anthologies will have a variety of difficulty levels, but will be easily programmable on collegiate and professional recitals. Composers will retain full ownership of their work, and will receive royalty payments for every copy of the anthology and CD sold. They will also receive a copy of the anthology and CD that their work is included in for their library. Composers of all ages and nationalities are eligible for inclusion in the anthologies. Composers who are included should be able to receive royalty payments either domestically via check in USD or domestically/internationally through PayPal. Composers may submit up to two songs per voice type (up to eight songs in total) in any language for consideration. Submitted songs may be selections from a cycle or collection of songs. Some preference may be shown to these works because of the potential they have to spur greater interest in the composer’s broader vocal catalog. Composers must have permission to publish the texts. Texts in the public domain are fine. Songs with texts under copyright must be accompanied by proof of permission from the copyright holder. Arrangements of pre-existing works within the composer’s catalog are allowed so long as they adhere to the above requirements. Arrangements of other composers’ works are ineligible. 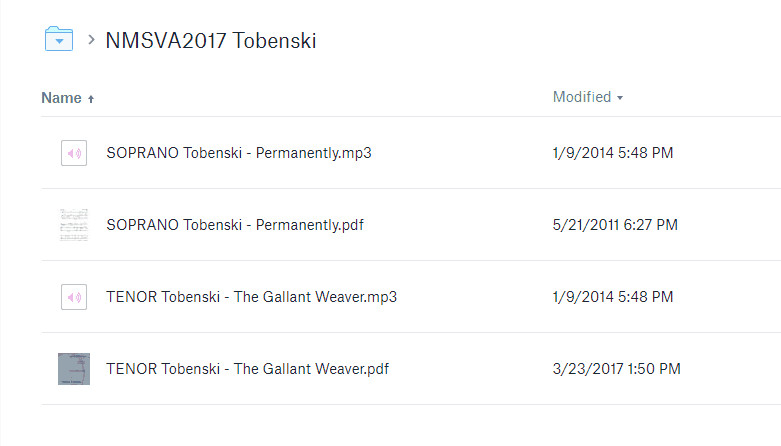 Create a Dropbox or Google Drive folder titled with “NMSVA2017” and your last name, in the following format: [VOICE Last] (e.g., “NMSVA2017 Tobenski” or “NMSVA2017 Biscardi”). Upload a PDF of the score to the folder, titling the file with the voice type, your last name, and the title of the song as: [VOICE Last – Title] (e.g., “TENOR Tobenski – The Gallant Weaver” or “SOPRANO Biscardi – Someone New”). For non-English-language songs, please provide a translation, as well. For songs in languages other than English, Spanish, Italian, Latin, French, or German, a clear IPA transliteration is appreciated. For songs not published by the composer, please upload a copy of a letter giving you express permission to submit the song(s) in question. For songs with texts that are under copyright, please upload a copy of a letter giving you permission to set the text and have the song published. Complete the application form, including the link to the corresponding Dropbox/Drive folder. Submissions are due by August 31, 2017. Notification of acceptance (with contracts) will go out in late Fall 2017. How many total songs can I submit? In total, you may submit up to eight songs – two for each voice type. What if I have a song that’s not specifically for any one voice type? Can I still submit it? Yes. Just be sure that it’s appropriate for the voice type(s) that you’re submitting it for. You can potentially submit it four times – once per voice type. Why are you making these anthologies? Many voice teachers struggle to find new “classical” repertoire for their students (or themselves) that is written by living composers, and composers frequently have a difficult time having their works discovered by singers who they aren’t directly connected with. With these anthologies, NewMusicShelf hopes to bridge the gap between the two communities, and introduce young singers and their teachers to a broader range of composers who are living and working today. Because NMS is composer-forward, the anthologies are also intended to offer composers broader exposure of their works along with fair royalties for their use. What is the plan beyond these four anthologies? NewMusicShelf hopes to make these anthologies a staple of its business in the future, connecting composers and performers through regularly-published curated collections of music for a specific voice type or instrument. If this pilot program is successful, NMS will expand the scope of the anthologies to instrumental music in addition to additional volumes of vocal anthologies.